Visitors are spoilt for choice with the selection of eateries that cater for every mood, palate and pocket. From laidback establishments that epitomise �Cape Town time� to coffee bars that buzz from early till late, swanky five-star restaurants manned by celeb chefs and contemporary cafes that serve a happy mix of Euro African cuisine, you�ll never go hungry in Cape Town. Township tours take visitors into the heart of it all while themed restaurants that celebrate the plethora of game and indigenous fare play host to packed audiences every night. 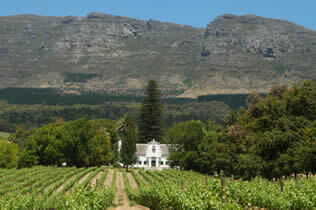 The Cape�s reputation for wine is a longstanding one and a wine tour of any one of the region�s estates, both big and small is a must-do � of course, the fact that some of the country�s best restaurants are situated in and around the winelands is an added advantage. South Africa's Rainbow Nation is alive and well in Cape Town. Stroll down Long Street and catch snatches of conversation in any one of our eleven national languages, rub shoulders with local fishermen when you visit Kalk Bay harbour and listen for the haunting songs of prayer that sound out from the city's mosques before sunrise. Much has changed in the years since democracy came to these shores and time spent in some of the city's museums go a long way in showing just how far we have come. Contemporary art is alive and well in the city and the plethora of colourful cutting edge curated spaces offer insight into the wealth of burgeoning local talent based here. Tailormade cultural tours take visitors into the homes and hearts of many of the local citizens - offering an unforgettable birds-eye view into Cape Town society. 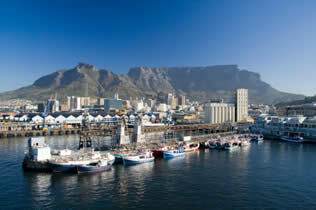 A mountain that stands guard over her city, two oceans that meet at the base of a peninsula and glorious beaches provide soul soaring sights for the Cape Town visitor. 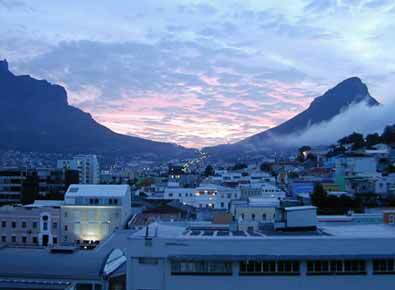 Whatever the season, Cape Town and its surround seduces at every turn. 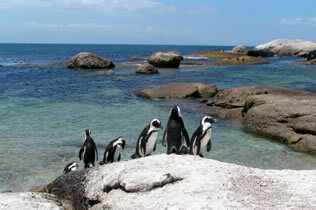 Whether you're an outdoor buff intent on getting up close and personal with the unique flora and fauna indigenous to the area or are content to gaze out the window at the ever-changing menu of visual delights, the sights of Cape Town will stay entrenched in your heart and mind forever. Whether you visit the Mother City for just a few days or are planning an extended stay, the smorgasbord of people, places and things to be discovered is addictive. If you're a laidback soul, intent on making the most of the beaut beaches or if climbing the mountain at dawn and swimming with the sharks by lunch is more your style, you've come to the right place - Cape Town's got it all.